CINCINNATI — The message of a transgender teenager who urged people to “fix society” before she stepped in front of a tractor-trailer in southwest Ohio still draws attention — one year later. 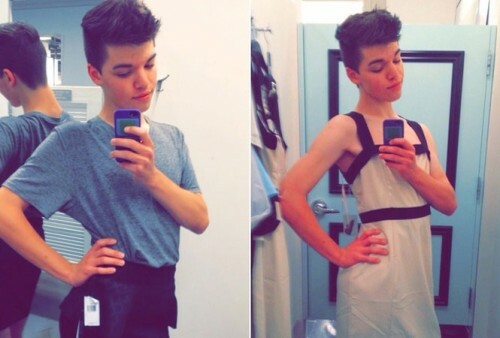 Leelah’s selfies and poignant messages on social media hit home among many transgender people. Her death prompted social media discussions, online petitions in support of transgender people, and vigils as far away as London. She was mentioned in a Golden Globe winner’s televised speech. Her case has helped raise awareness both nationally and in her home region. Officials say counseling and other services have been expanded in Cincinnati in the past year. The Cincinnati Enquirer reports that the Transgender Health Clinic at Cincinnati Children’s Hospital Medical Center has tripled its caseload to 360 patients in the past year. The Cincinnati city council earlier this month voted to prohibit the therapy, also called “conversion therapy,” by health professionals designed to change sexual orientation or gender identity. The Ohio Highway Patrol reported after its investigation that Alcorn had left a handwritten note on her bed — “I’ve had enough” — and had done an online search about runaway assistance and a Tumblr search for the word “suicide” before walking onto the interstate. The driver wasn’t charged; the Patrol report stated he wasn’t speeding, and that he and Alcorn both tested negative for alcohol and drugs. Chris Fortin, a 2001 graduate of the same Kings High School that Alcorn once attended, led an Adopt-A-Highway effort in her memory. There are two signs with her name on a stretch of I-71.